This is a group workshop, designed for a minimum of 6 participants. 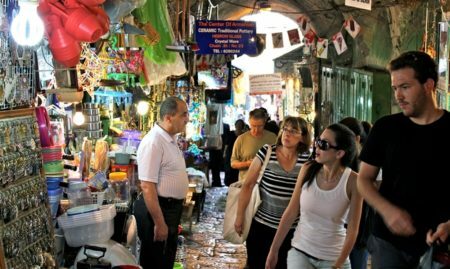 Machane-Yehuda market is one of Jerusalem’s most iconic places. It is precisely here where locals and tourists come to shop for fresh products every day. The market is famous for its delicious street-food stands, popular restaurants and its unique nightlife scene. ZuZu Tourism offers the best way to get familiar with the market – an experiential culinary workshop where you’ll learn how to cook in Machane Yehuda style! 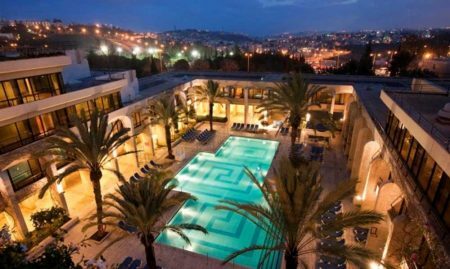 This activity includes an introductory tour at the market; a culinary workshop with dishes and flavors from different nationalities; and lunch/dinner at a restaurant, based on the dishes made during the workshop. Tour is available on request only Sun-Thurs 09:00-16:00.